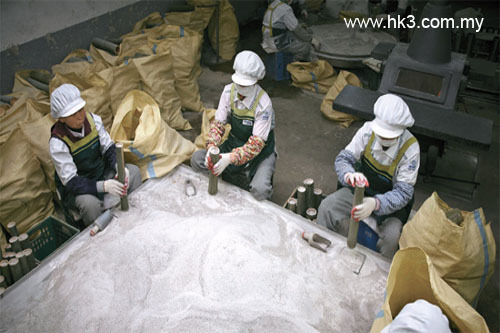 The making of bamboo salt is based on the five elements theory. The five elements are aspects of Qi energy. Qi presents in everywhere as a source of healing energy for lives. 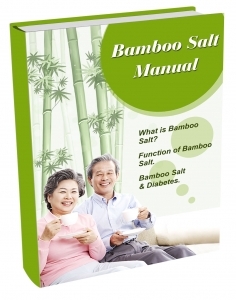 How Bamboo Salt improves modern diseases? In scientific term, Qi is known as etheric energy, a very fine substance surrounding and permeating us. Etheric energy, prana and vital force are various names of Qi. Each element reflects a certain group of organs that sustain life. 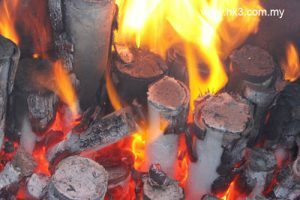 Wood represents liver and endocrine system, fire represents heart and circulatory system, metal represents lung and respiratory system, earth represents spleen and digestive system and water represents kidney and urinary system. However, Qi conserved in bodily system diminishes over time. Therefore, ancient wisdom always emphasizes on replenishing the Qi to maintain good health. Bamboo salt is born to serve this purpose. It condenses Qi of the five elements into one. 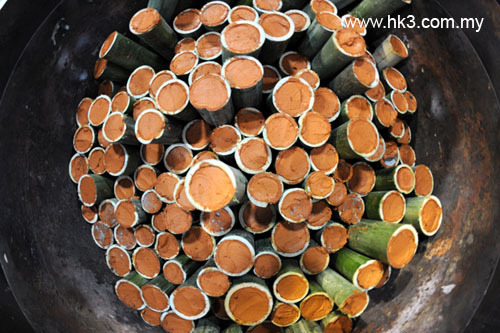 Bamboo salt is made by filling the sea salt into the bamboo trunk, then sealing with the red clay, finally burn with pine wood and pine resin. 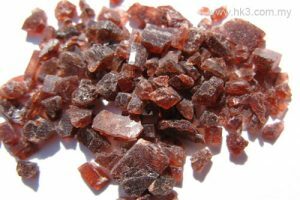 The raw material and where they from are strongly related to the five elements. The following table illustrates the co-relation of the element, raw material and the cardinal direction in the making of Jukyeom. 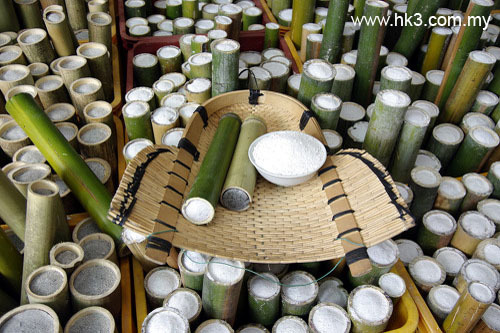 In order to make quality bamboo salt with superior healing properties, the choice of raw material is crucial. Sea salt must be harvested from the Western coast of Korea with the purpose to harness Gold Energy of West. Three years growth bamboo trunk is gathered from the Eastern Korea so that to reap Wood Energy of East. Red clay is obtained from the Central Region of Korea so as to conserve the Earth Energy of Central. 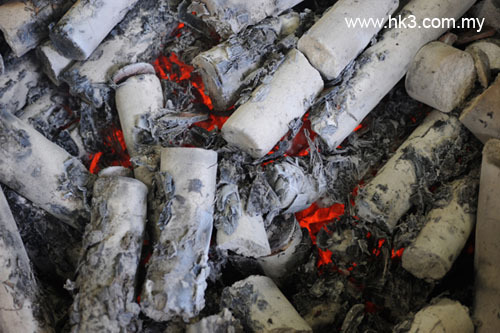 Burning process is taken place in the Southern Korea for preserving the Fire Energy of South. Pine wood and pine resin used as burning material are gathered from the Northern Korea in order to gain the Water Energy of North. 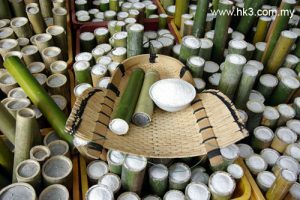 The perfect matching of material according to the five elements theory render bamboo salt with enhanced medicinal value. 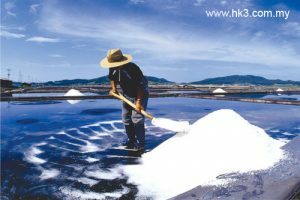 How does bamboo salt resolve acidic poisoning? What significant meaning does it give to high blood pressure, arteriosclerosis, heart disease? Hi, I'm HKIII Nutritionist. I graduated from The University of Queensland, Australia. I feel great when I've found valuable health information. I feel even greater if I can share with you. Should you have any enquiry, ring us at +60197161678. Ancient Wisdom of Natural Healing.